Joe Rotella’s bill for heating and cooling his 2, 597-square-foot ranch-style home in Upper Arlington used to top $600 a month, every month. “I’d get that guilt letter from the utility company twice a year comparing my usage to my neighbors’, ” he said, “and mine was always off the charts” — even though his house is smaller than his neighbors’. Three 15-year-old heat pumps — with efficiency ratings of 8 SEER, a far cry from today’s minimum requirement of 14 SEER in central Ohio — were to blame. SEER, or seasonal energy efficiency ratio, is the heating and air-conditioning equivalent of miles per gallon for cars. Custom Air recently replaced the heat pumps in Rotella’s home with two 97 percent efficient gas furnaces, an air conditioner with a 16 SEER rating and a two-stage air conditioner with an 18 SEER rating. The four units were needed to match up with the existing ductwork, which was designed for zoned heating and cooling. Although he isn’t sure what the long-term savings will be, Rotella was “thrilled, ” he said, when he received his most recent gas bill — for just $53. Most basic models of heat pumps and air conditioners will have higher SEER ratings this year. 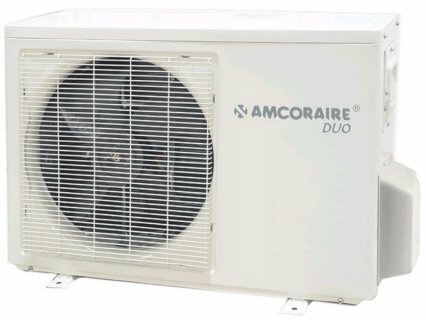 On Jan. 1, the federal government raised the efficiency requirements for air conditioners and heat pumps that can be sold and installed in the United States. The Department of Energy has broken the country into three regions — Southeast, Southwest and North — and issued requirements for each. Not much is different for central Ohio, which falls in the North region. In Ohio, a new central air conditioner must have an efficiency rating of at least 13 SEER, which is unchanged since 2006. For heat pumps, which act as both an air conditioner and a heater, the minimum rose from 13 SEER to 14 SEER, which is about 7 percent more efficient. The new rules also mandate that air conditioners and heat pumps carry Energy Star-style hangtags with information on power usage.